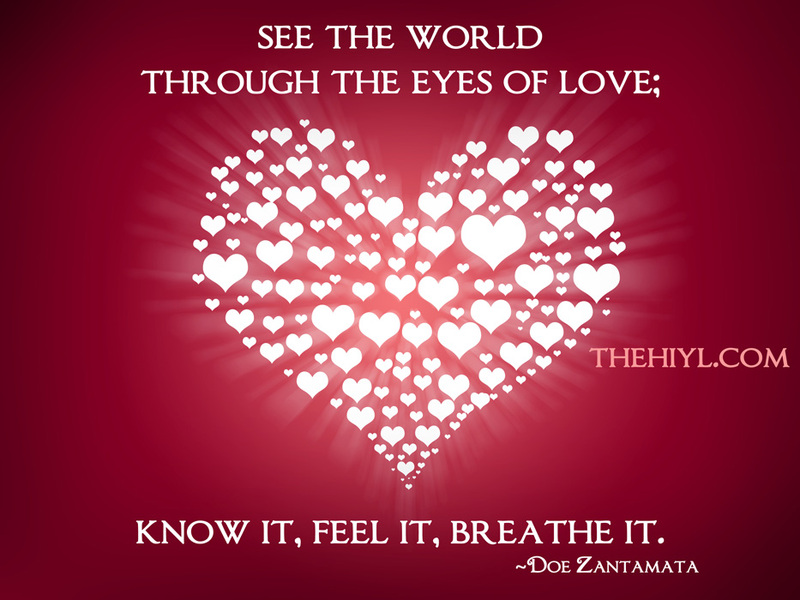 See the world through the eyes of love; know it, feel it, breathe it. Meditation is an easy way to change a bad mood, get centered, and relax into the moment. Stress in daily life is unnatural, and meditation can help bring us back to our natural state. This meditation can be done every morning, every evening, or anytime things get a little hectic and you can take a few quiet minutes to restore calmness inside. Sitting or lying down, close your eyes, and focus on your breathing. Feel the cool air coming in and the warm air going out. Imagine the air coming in to be a white and pure light. Breathe in deeply and slowly. Imagine any and all anger, frustration, pain, fear, doubt, insecurity, anything negative that's inside -- coming from within your body, collecting in your lungs, and being breathed out as a grey fog. The more you breathe in, the more you breathe out, the cleaner and clearer your whole physical body becomes. Once you reach a state where you feel only your breath, picturing all light inside, having let all the grey out, think on the inhale "I AM," and on the exhale, "LOVE." Repeat this for as long as you like. Feel Divine Love entering through your breath, filling your every cell and energizing it, and feel your exhale as this love being sent through you to the Universe. Return to your day, or sleep for the night, calm, refreshed, and relaxed.